Parents with teenagers definitely know, 12 year old boys are a funny old group to buy presents for. From one perspective, as they’re almost teenagers, they no longer consider themselves as kids and they usually try their hardest to imitate adults. On the other, they still have many childlike tendencies, and often still lack in the maturity you’d see in an older child. Add that to the fact that their rules on what’s cool and what’s not, which may seem obscure and baffling to parents, it is to me at times, and can be a real chore sometimes. 1.45 How to Pick a gift for 12 year old boy who has everything? Which Gift Idea is Your Favorite? Our favorite gift for a teenage boy who is turning into a teen has got to be a drone, which is a great present idea for a boy soon to be a teenager who loves being outdoors and enjoys flying toy drones. However, with our MASSIVE range of picks to choose from you will find something for every interest here! Toys for 12 yer old boys come in all shapes and sizes and this cool robot set for kids helps them to learn about the power of hydraulic systems and loads more. After following the clear and easy to understand instructions to build the arm, you little inventor will have a cool robot arm to play with. It is very versatile and has 6 Axes of movement and up to 270 degrees of rotation from its different parts. Its gripper and suction parts also enable to operator to ‘vacuum’ and lift up objects. And best of all, as everything is hydraulic, you don’t have to worry about power supplies or batteries. 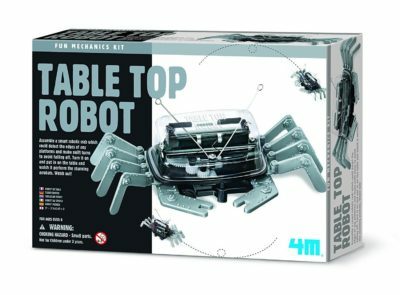 This will be a really cool gift for boys who like science, engineering and robots. Every boy at 12 loves a drone. You might be worrying about whether to get your boy of 12 for his birthday a drone or a remote control car. Why not get them both? Rather than fork out double the cash, though, this cool RC toy was the features of both! It can fly just like a regular drone, but its wheels also let it drive on the ground like an RC car. This really is an amazing kids drone that will be a great gift for 12 years old boy who loves flying and remote control vehicles. Boys like being outside will enjoy this present. As seen on Shark TV, Spikeball is a cool ball game that can be played either indoors or outdoors. It is a 2 on 2 competition that’s a bit like volleyball, but only better, and it can be as competitive or as relaxing as the players want. 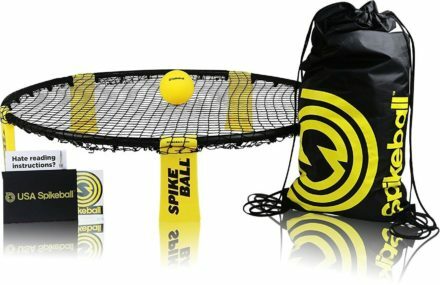 This game can be set up pretty much anywhere, like indoors, in the yard, in the park or on the beach, and it will be a great and intense workout if all the kids are up for it, so this might be a good gift for 12 year old boys who need more exercise or sporty kids looking for a new challenge. We also love that the set, including the balls and the net, neatly folds up into the handy storage bag, so your kids can throw it on their backs and take it anywhere. Boys into games will appreciate this Nintendo switch present. 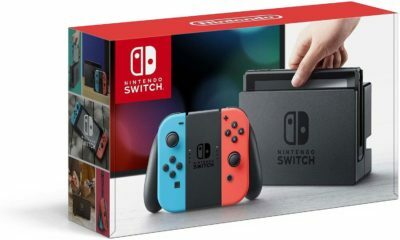 The Switch is the latest console from video game masterminds Nintendo, and it has been taking both critics and players by storm. The switch works in two ways. First, it can be a table top console just like any other However, whats really cool is that you can detach the controller and use it as a portable, handheld console that lets your son take his gaming anywhere. So if your child has to travel a lot, or has long journeys to and from school, this might be the ideal console for him. That wouldn’t mean very much if it didn’t have good games, but you can be assured that the Switch already has some of the most critically acclaimed video games in recent memory, such as Super Mario Odyssey and Zelda Breath of the Wild. This might be the best gift for 12 year old boy gamers. 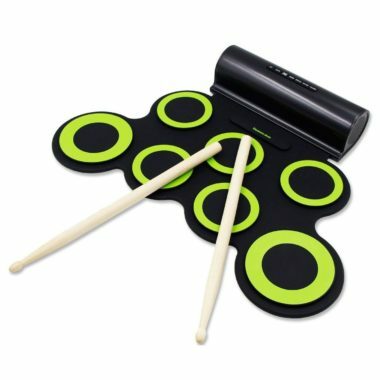 Musical gifts are great for 12 year old boys who love music and have a talent for drumming. This cool little electric drum set might be right up his street. These little kits are brilliant for youths as they are small and portable, so they can easily take them to a friends house or into the garage of they are making too much noise. This set is especially efficient as the pads can be rolled up for easy storage and transport. This cool drum kit also has built in speakers, and earphone jack for using at night or other quiet times, demo tracks, seven different drum pads and a number of different drum sounds to be used. Whats super amazing is that it has a rechargeable battery included that will get about 10 hours of playtime out of a full charge. This might be the best gift for a twelve year old boy who loves making noise or a drummer who wants a small kit to practice on at home. Boys into robotics will love this bit of kit. 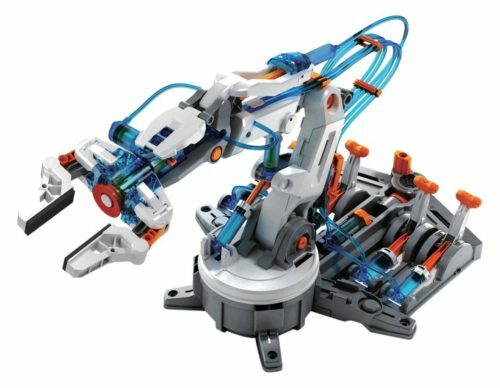 Let your boy experience the power of robotics with this cool and affordable robot building set for kids. First, they will have a great time following the detailed instructions to build the robot from scratch. Once the robot has been completed, they can activate it and set it free to do all kinds of cool things. This awesome table top robot scuttles under its own power and uses it sensors to change direction when it encounters an obstacle. Or you can put it on a tabletop and watch it perform acrobatic tricks. This cool little science gift will be a brilliant present for 12 year old boys who love technology and robots, and do it its small size, this is a really great toy for all boys as it won’t take up a lot of storage space. IT will also be great for getting them interested in robots, electronics and engineering. Great gift for boys into football. Is your son shaping up to be the next Messi or Ronaldo? Or do you just need a present to help encourage a youth to get of the couch and do a bit more exercise? 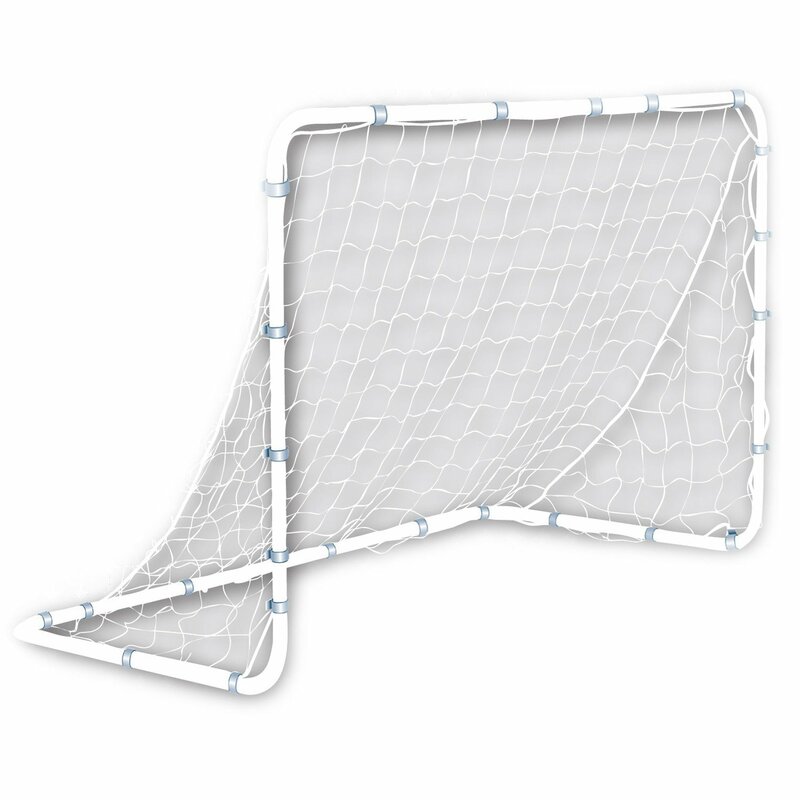 If so, this cool set of Soccer net and goals might be just the right gift for your 12 year old. These will be perfect your setting up in the back yard, and they also be disassembled and thrown in the back of the car if you want to take them to the park. Must boys like playing frisbee, which makes this a great pick. A cool variation on a classic game of Frisbee, with this, kids have to work together in teams to try and jam the Frisbee into the can while other teams try to deflect them. It is all about coordination and team work, and will give a serious workout to those playing, making it great for sporty kids or those who need to be a bit more active. Whats really great about this is that the kit is small and easy to set up, and it really can be appropriate for all ages, so older and younger siblings can easily join in the the fun. This will be great for kids who like going to the park or the beach. Some boys are more creative and which is why they might like this gift. As you’ve probably noticed with your kids, youths can be very expressive, and if they have a talent for art, it can really flourish at this age. 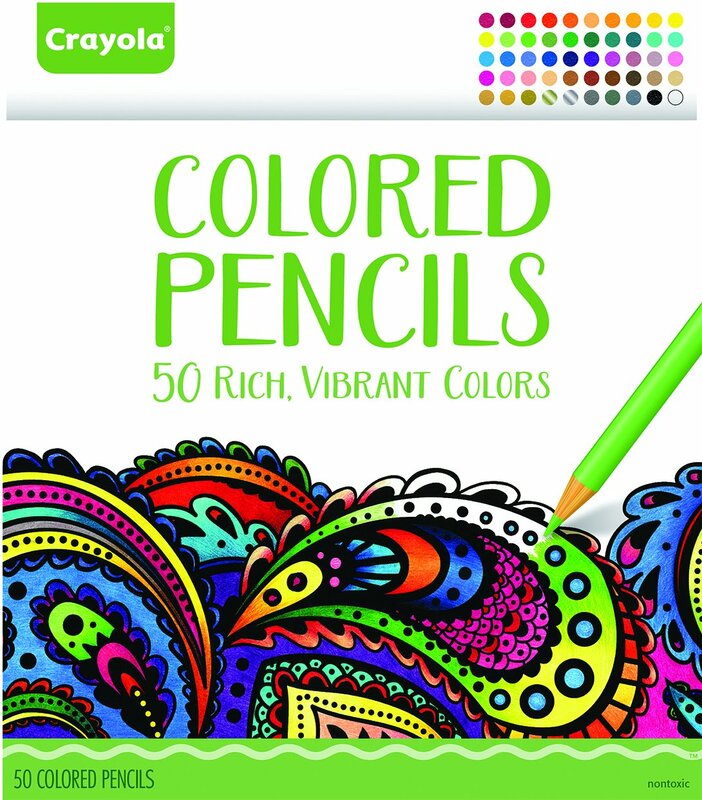 If you have a lad who likes to draw and color, this set of high quality colored pencils will give him some extra inspiration to keep on sharpening (pun intended) his talent. These pencils are designed for adults and real artists, so they will be perfect gift for boys ages 12, as they definitely don’t want to be viewed as kids anymore. This Crayola set has 50 vibrant and rich colors, and are excellent for shading and blending, and your little boy artists will really be amazed at just how fantastic they can make his drawings look. 12 Year old boys love playing with RC cars, and at this age group they have the capacity to handle some pretty powerful sets for wheels, so you can really go wild with what you buy them. This chunky off road remote control car will really be a thrill for any youth to get a hold of hanks to the powerful brush 390 motor that can get up to 38km/h when you throw the throttle down. 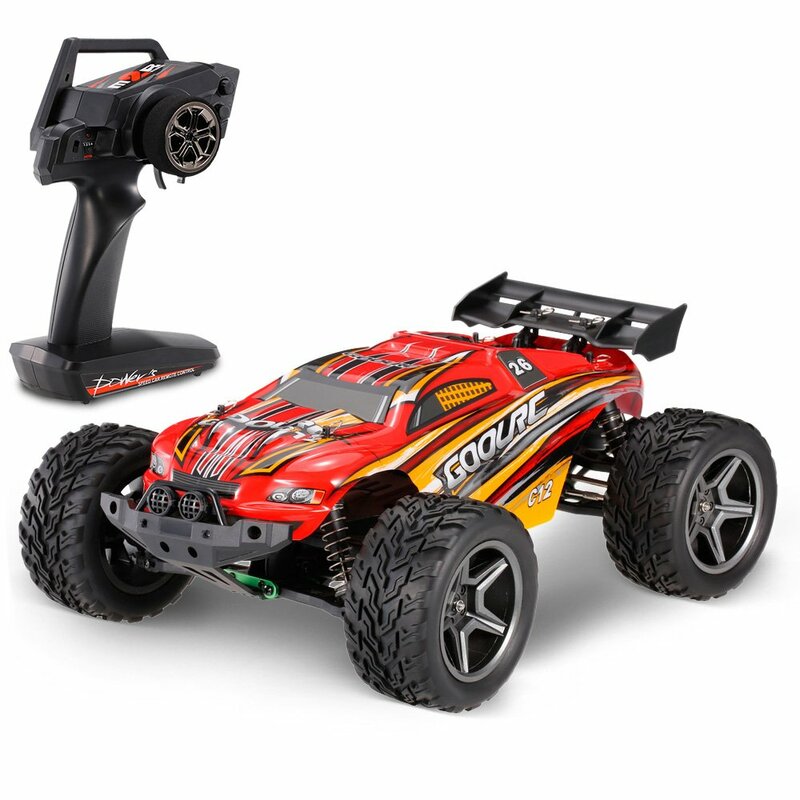 With a range of up to 260 feet and highly responsive steering and throttle and high-quality transmitters, this all-terrain RC truck will tear through grass, mud, gravel and marshy land easily, meaning that there’s no end to the cool adventures your boy can have with this. Every boys like a card game and this could be a good choice for the right boy. Thankfully this is not referring to how long your kids can leave food on the floor before eating it. 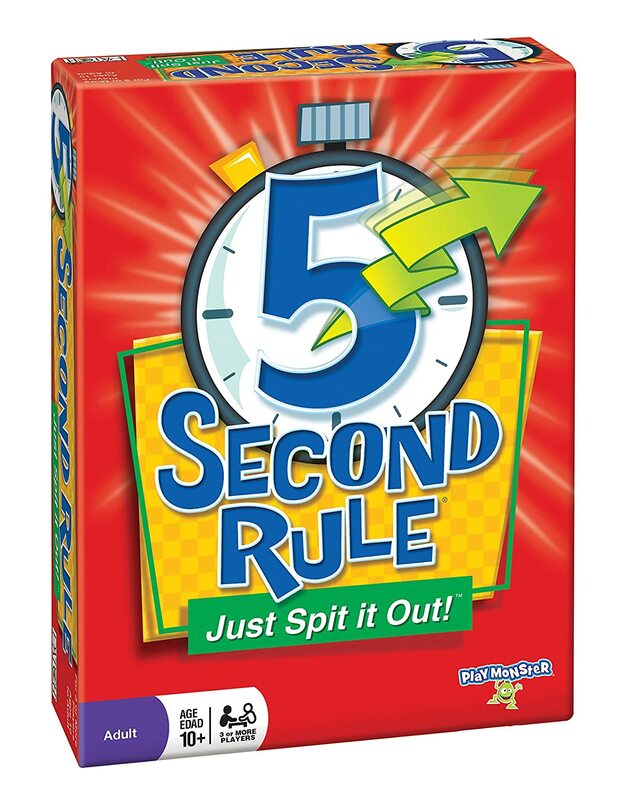 With the fun and interesting card game, the players take it in turns to take a card, and once the timer starts, they have 5 seconds to say three things that fit that topic. And with so little time on the timer, it is not as easy as it sounds. With 576 Questions on 288 Cards, your son and his buddies will have a great time playing this, and it always ends in hilarity as players get tongue-tied, confused and makes all kinds of silly mistakes. It is also a good brain challenge, as trying to come up with 3 things for a topic in just 5 seconds is not an easy task. Help spice up any family gathering or special occasion with this awesome card game for you 12 year old boy. 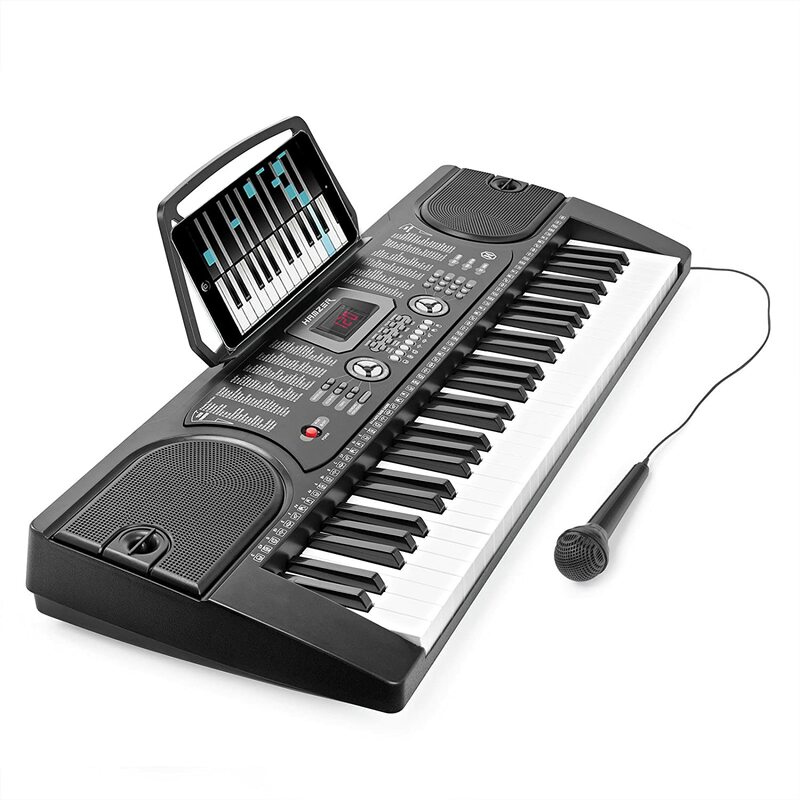 Gifts of music are something for life, and if your lad wants to start to flex his musical muscles, this cool Digital Keyboard will be a great first instrument for him. Don’t worry about the fact he’s almost a teenager, as it really never gets too late for children to learn new instruments. This electronic piano has built-in speakers, and it literally has hundreds of sounds, settings and and 24 demo songs, so there’s scope for everything from classical pieces to video game noises. This thing can also record and has a built-in microphone as well. For a youth about to start his musical journey, this is an amazing gift. Hasbro makes great toys for boys. Now, this is seriously cool. 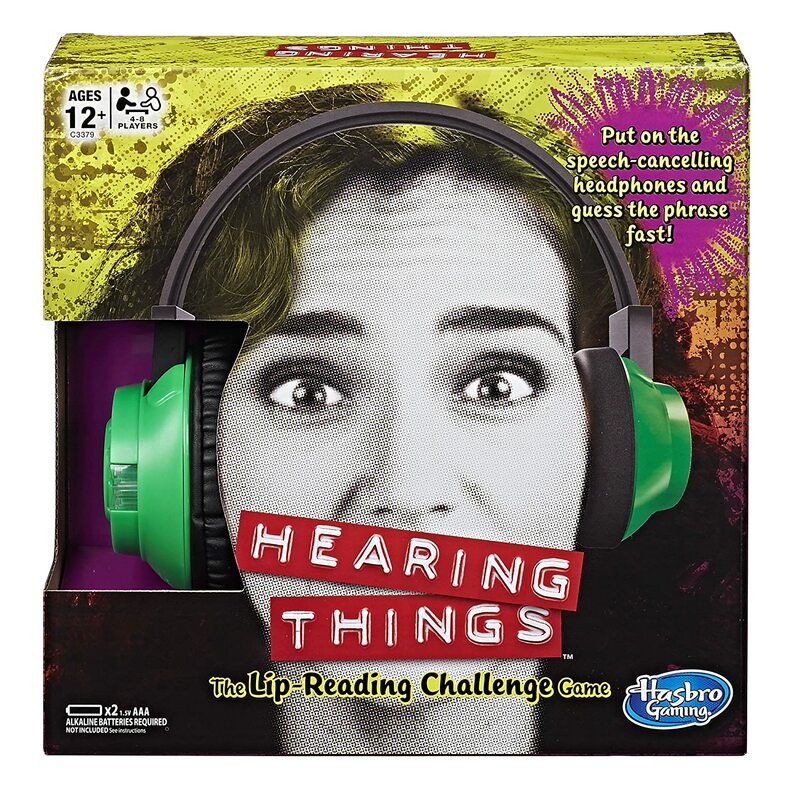 If your 12 year old lad is very sociable and likes hanging out with his friends, this cool game set will bring them endless amounts of fun and will be great at family gatherings like Christmas and Thanksgiving. The game is simple, but ends up being hilarious. The players take it in turns to wear the special speech cancelling headphones while their teammates read from one of the 150 cards with 600 phrases, and they have to try and guess what their team is saying by reading their lips. Kids will be rolling around the floor with laughter at the wacky and crazy phrases the person with the headphones comes up with, so much so that mom and dad will be desperate to join in on the fun. Boys love foosball, which is why this is an awesome gift choice. Games for 12 year old boys really are the best, because adults can play too. If you’ve got a sporty child or one who likes tabletop games, this amazing Foosball table will be great fun for hours and hours. This is an amazing gift for a twelve year old boy who likes having his friends over to hang out. 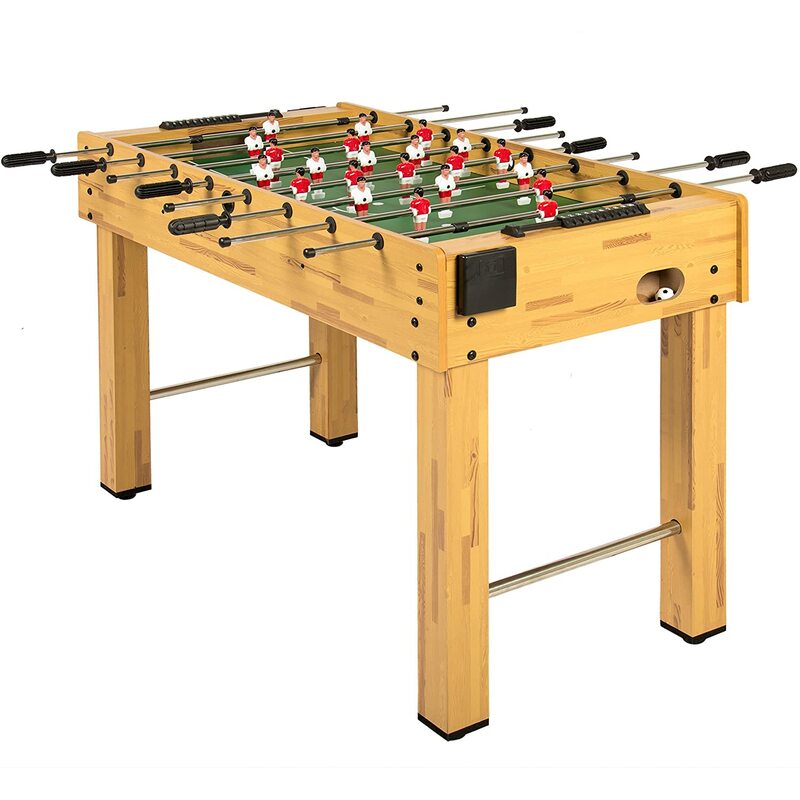 Despite its classic design, this table soccer set is very modern, built with stability, and it has comfortable grips to better control the ball and a smooth, frictionless surface for slick play. It even has a cup holder on each side! The only real problem with this table is that aside from the room it takes up, your son is going to be the most popular kid in his class as all his friends will want to try. Retro toys and gifts for boys aged 12 are hot in style these days, and following on from the wave of 80s nostalgia brought about by shows like Stranger Things, your youth can now relive the excitement and fun of the video game arcades from the safety of your living room with this cool console. 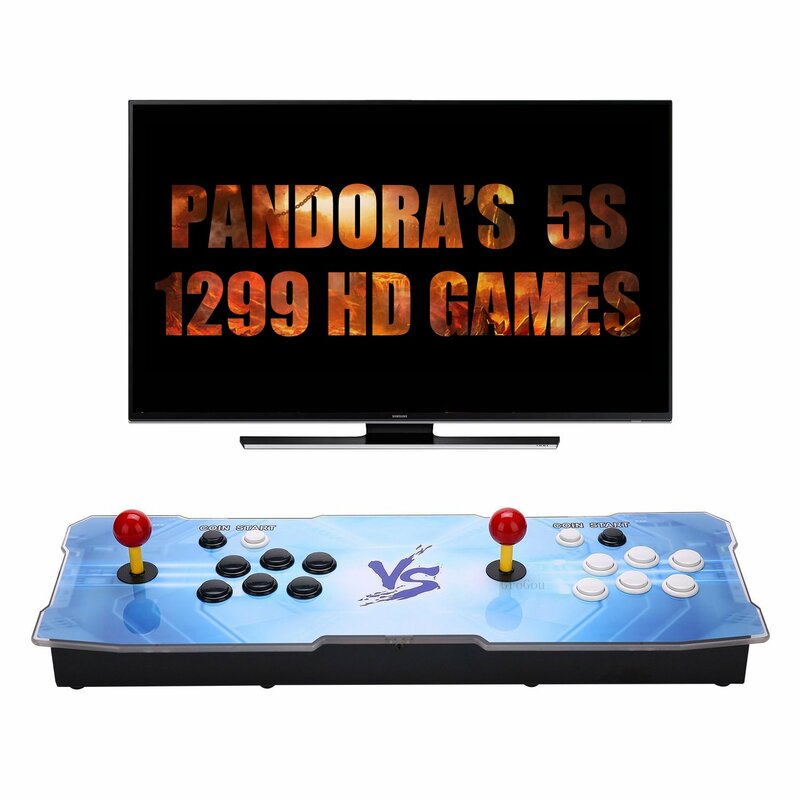 Simply connect the system to your TV and you can boot any of its massive 1299 HD arcade games and play them on authentic arcade joysticks, give your son a real arcade experience, but without having to go looking for quarters every five minutes. If you’re looking the best gift for a 12 year old boy who loves retro toys and video games, this might just be it. Little boys love these kits. We’re big fans of Snap Circuits here at StarWalkKids, as they make the most incredible electronics sets for kids, and their kits are great gifts for twelve years old boys who love technology and problem-solving. 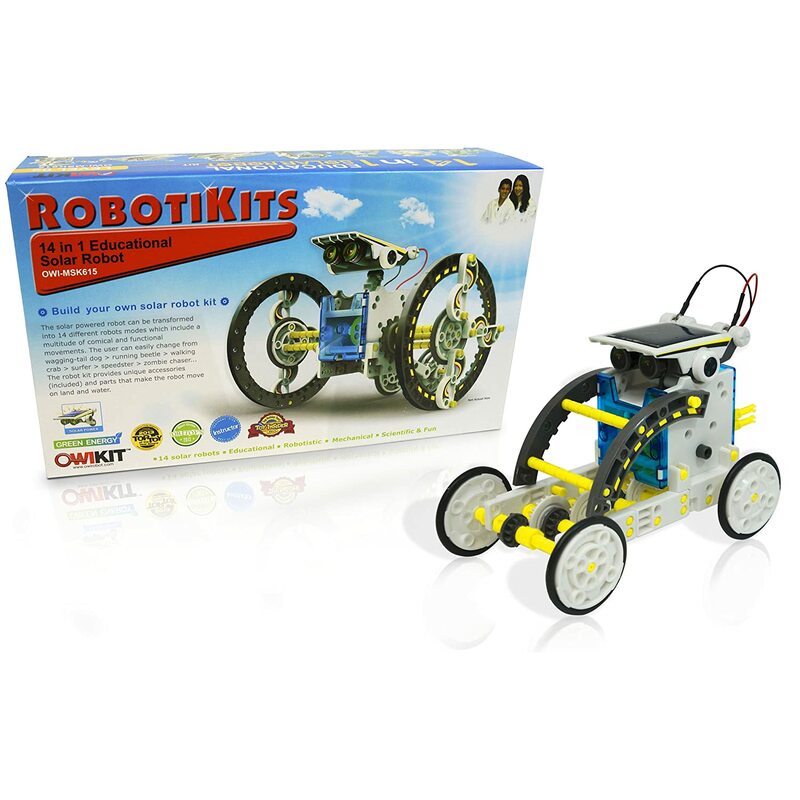 What’s great about this kit is that kids can build real-life circuits and processes. 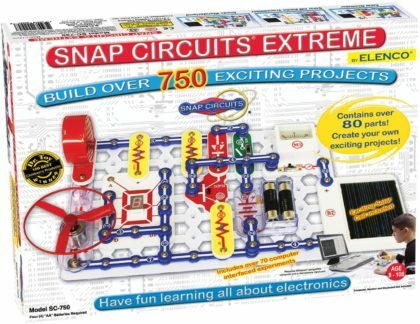 Technology and science have never been more fun than with Snap Circuits, and this educational toy is a perfect gift for a pre-teen. 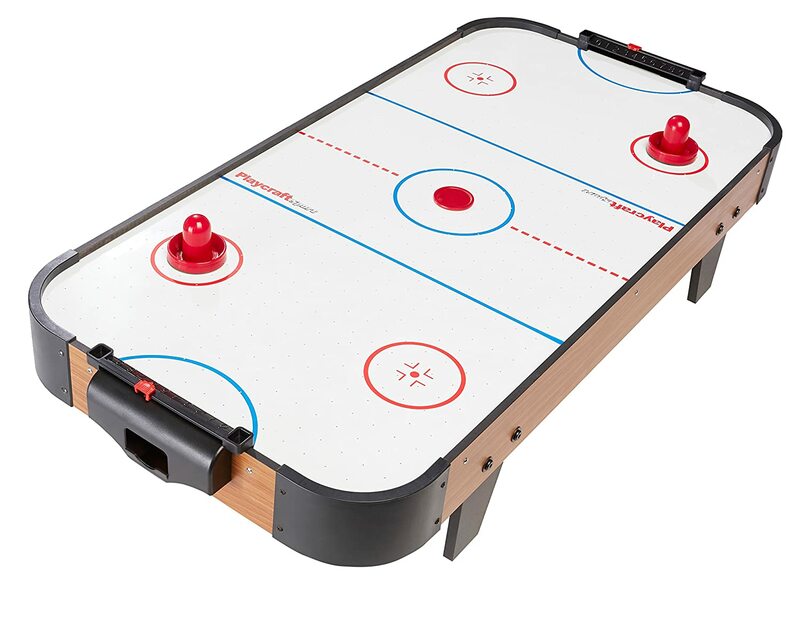 Another great gift to get for a sporty boy, this cool hockey set will let him and his friends turn the street into their own hockey arena. 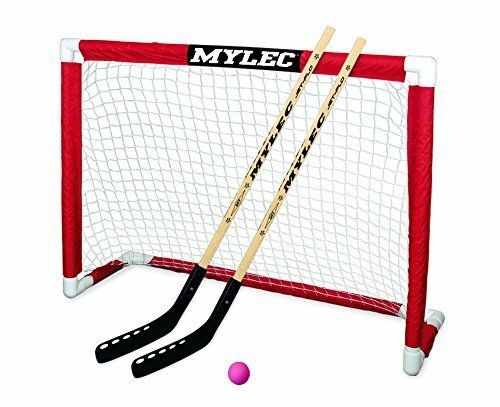 This set comes with includes two sticks and hockey balls, so it will be great for siblings to play with together. The sturdy frame will last ages, while the sleeve netting is super easy to assemble should only take a few minutes for quick play, anytime, so it is both easy to set up and easy to take down, and there’s no problem just folding it up and throwing it in the trunk of the car if you are going on a trip. This is recommended for outdoor Street Hockey, and will be good encouragement for a child who needs a helping hand to get more active. 12 years old is usually around the age when children want to have their own computer, as they may want one for both homework assignments and keep up with their friends through. 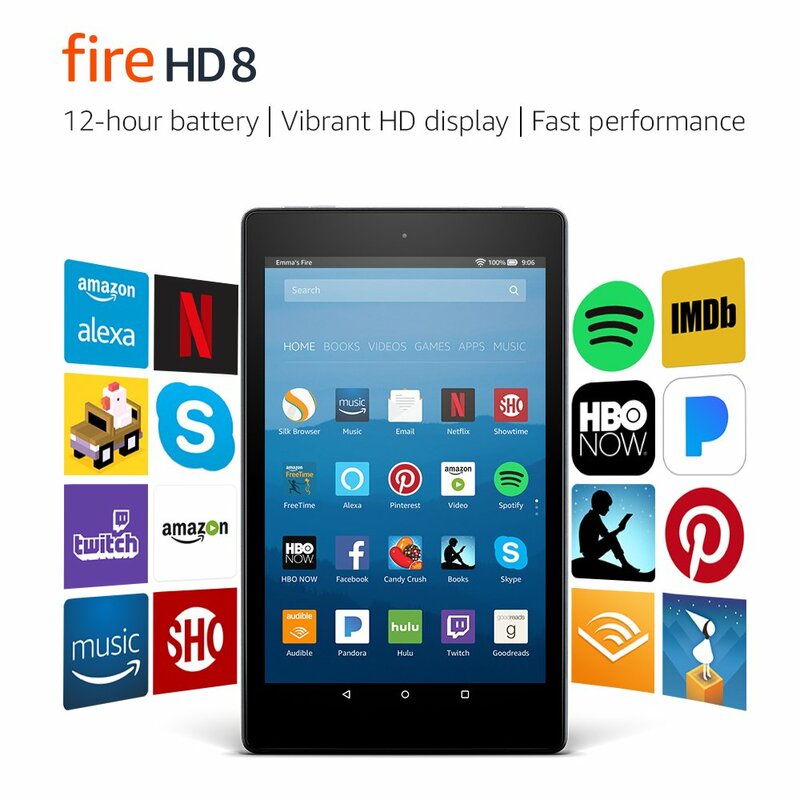 The new Amazon Fire Tablet is a serious little machine, with 12 hours of life with a full charge, vibrant screen and options for larger internal storage if needed. With this tablet,m your kid can surf the web, skype with their friends and use lots of different apps and watch films and TV shows. It also has parental controls, so you can make sure that they use it safely. 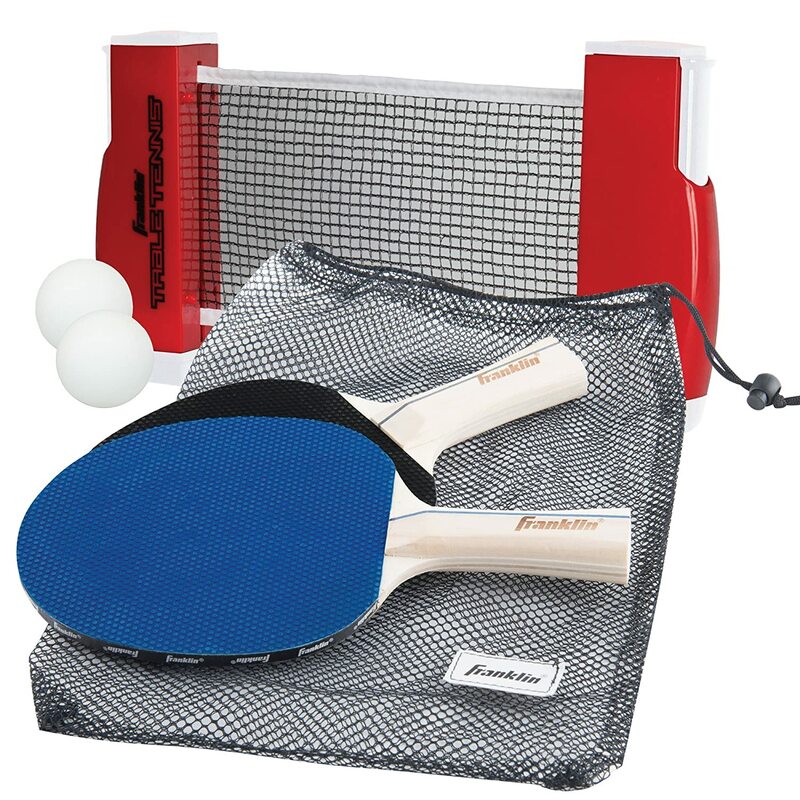 If you’ve got a table space big enough and a 12 year old willing to play, this cool table tennis set will be a good gift for twelve years old boys who like games and competitions. It comes with everything you need aside from the ability itself, such as rackets, balls, and the net. Table tennis is a great sport for youth because its something that doesn’t depend on the weather, as long as you have the space inside, and it is a good active past time for them. Better still, if your boy is really sociable, he can have all his friends round for a tournament. This cool little robot kit will be an amazing gift for 12 year old boys who love robots and sciences, as they can make 14 different solar powered models that all have hilarious and funny functions, such as cute robot dog that wags its tail or a crab that walks. This is a wonderful little robot kit that really shows just how wonderful solar energy is and how it can help our planet. Also, its going to take your boy a long time to get through those 14 different robots, so this is a really long lasting gift. 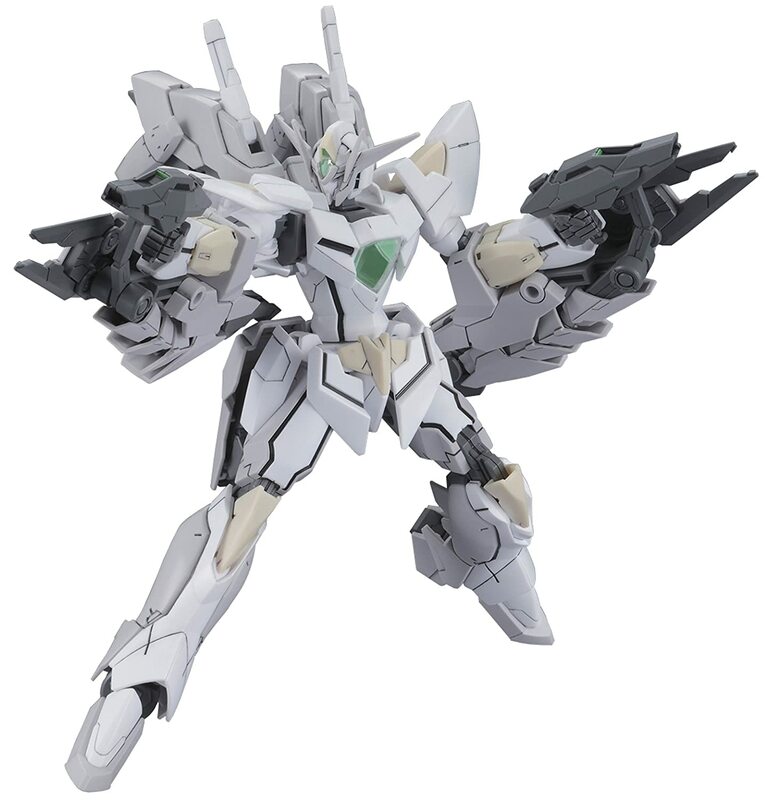 If you’re looking to buy a present for a 12 year old youth who loves anime and building models, this cool Gundam fighter robot might be just what he is looking for. No glue is required here, just a hobby nipper and a little bit of patience. This cool model features “Tank Mode.” It also includes the famous GN Beam Pistols and will move independently. It has 10 runners and an instruction manual too. Boys at 12 are often the time when young people really start getting into music, developing their own tastes and following their favorite bands. If your son is in this camp, and he wants to take his music with him wherever he goes, you don’t need to spend a fortune getting him the latest iPod. 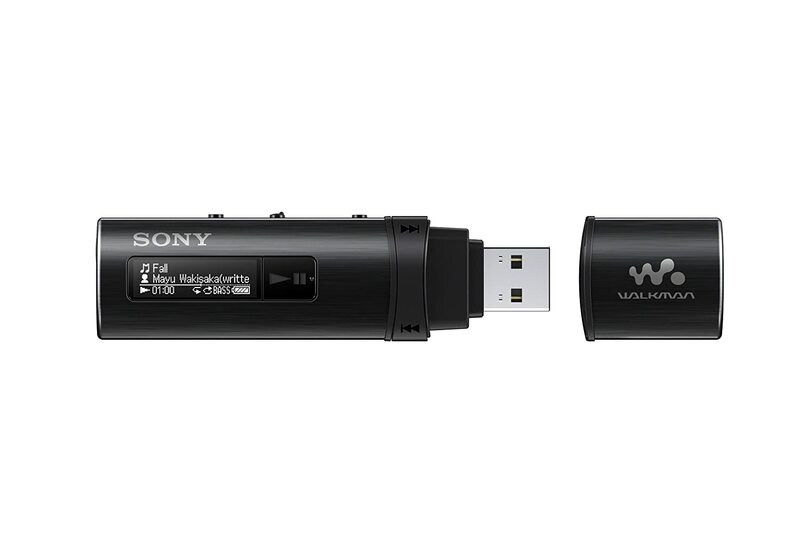 This Sony MP3 player is lightweight, slick, has great sound quality, and it can store up to 4GB of music, which should be plenty. It has a built in USB connector, so your son can use it just like a USB flash drive and drag and drop his favorite tracks from a computer. It also has an FM radio built in. You can also pinch it when he’s not looking and find out what all the cool young people are listening to these days. Your son needs a gift and is going to need some good headphones at some point, whether it’s for listening to music when he’s out or for watching TV late and night an not disturbing the rest of the house. If you’re looking for a great set of budget headphones, we recommend these ones. They connect by Bluetooth, so you have no need to worry about cables which can easily get damaged or tangled. 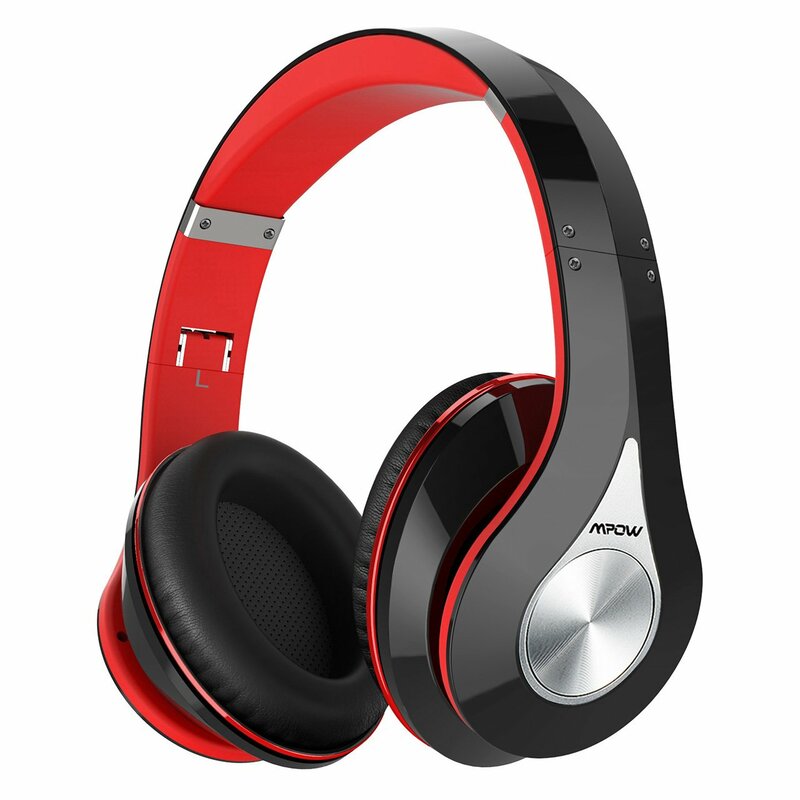 These are very comfortable and durable, as the ear cushion ensuring long-lasting premium comfort. The battery will also last to around 20 hours of a full charge, which is amazing! It might seem like a bit of a cop-out or an insincere gift, but sometimes a gift voucher might be just what an older boy wants, as they are old enough to pick their own presents. 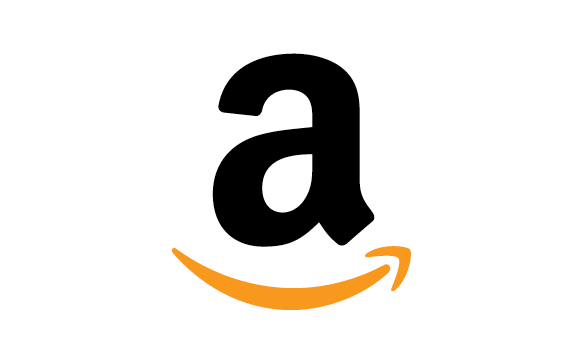 If you are buying something for a 12 years grandson who has an iPod, Tablet or an iPhone, they will really appreciate an Amazon voucher as this will let them choose some great gifts online from their favorite gifts to artists. These vouchers come in $25, $50, $100 and larger versions, and they are great because they can be used on any of their stores online, in case they would rather have something else. 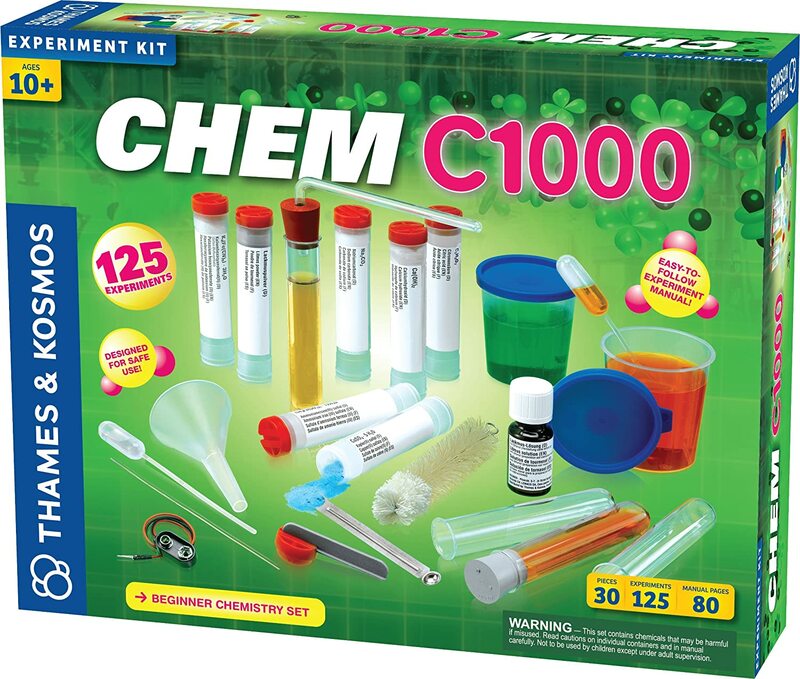 Help your boy get ready for a life of scientific discoveries with this awesome chemistry set. They will develop a lifetime of fascination with this essential science through 125 diverse experiments, which start off very simple and also introduce your children to the famous scientists that inspired them. Once your kid gets a little lab space set up, endless hours of joy and learning are ahead of him as he tackles experiments dealing in air pressure, surface tension and color markers for cool lessons like how to make invisible ink. Safety is a top priority for a good chemistry set, and this has thorough safety precautions and instructions ensure safe experimentation. Parental supervision is still a good thing though. 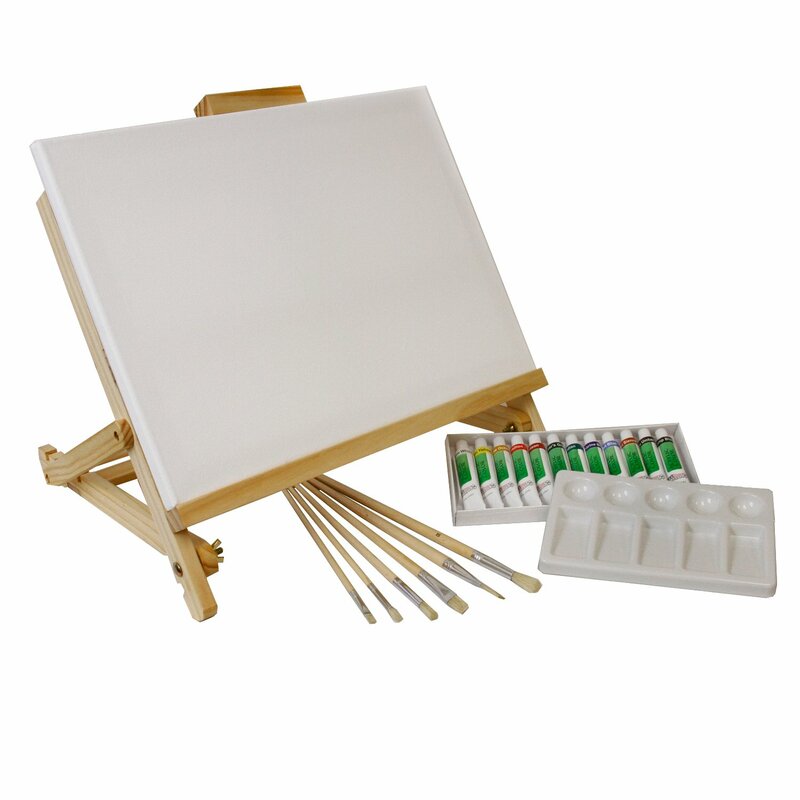 If your little boy aged 12 has shown an aptitude for art and is enjoying his art classes in school, why not encourage him to develop this talent further by getting him a cool beginners painting kit, like this one? With brushes, paints, primers and a frame this has everything your little one will need in order to get immersed in the world of painting. Painting is a very good activity for youths as it helps them to relax and also to express their inner emotions through art. This set is also great because it has all the basics they need to get started, and you can always add more paints and brushes later if your child really gets into it. 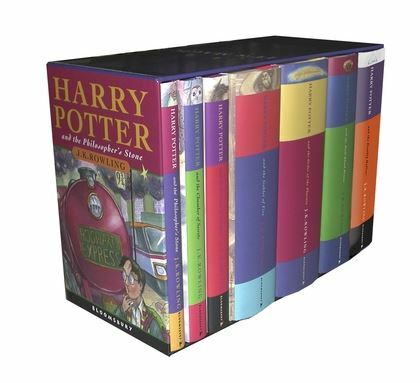 If your child is one of the few children who hasn’t read the Harry Potter books, why not pick them up this cool box set of all the paperback novels? These books, full of adventure, mystery, magic, and action, are great for a present for boys, and all parents know the incredible benefits that reading has for young people education and literacy skills. Also, if they’ve seen the films, they should know that its always better to read the book. I’m pretty sure that most of the parents reading this article spent many happy hours of their own childhood having intense and enjoyable battles in air hockey, so you might want to think about getting a table for your twelve year old son too. You can get some really great affordable tables, like this 40 inch tabletop version, and all you really need is a space to set it up and your kid will have hours and hours of fun with it. The only problem we can think of is that it might get a bit too noisy at times. 12 years old is a great time for a young guy to pick up the guitar, as he’ll physically have the strength in his hands and fingers to be able to play, and this is usually the age when youths start to get interested in music. If you’ve got a little lad who likes rock ‘n’ roll, blues or heavy metal music, this starter set will be a great jumping off point into the world of music. 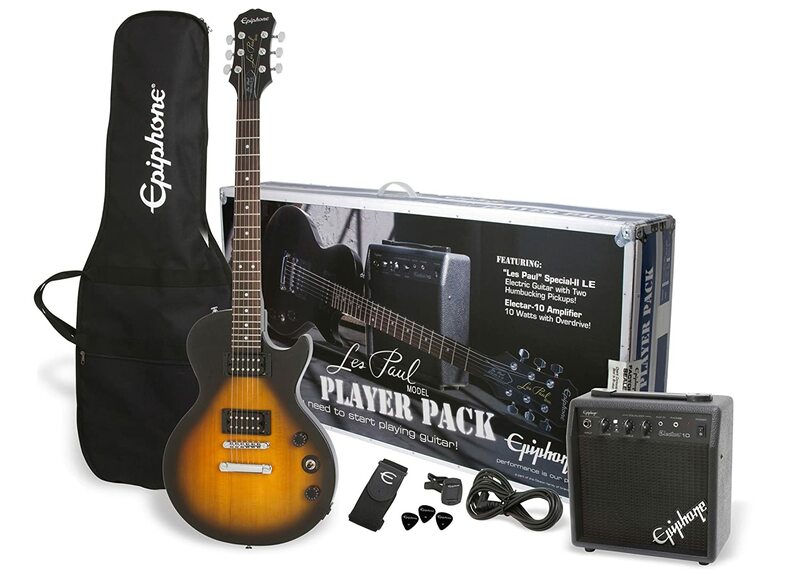 It comes with a great Epiphone Les Paul style guitar, a mini amp, and a host of other needed accessories like picks and a strap. This is basically rock and roll in a box! With Mixed Martial Arts superstars like Conor McGregor taking the world by storm, combats sports have never been more popular, especially among the youths of today. So if your big boy of 12 is interested in martial arts or boxing, this massive set will be a dream come true for him. 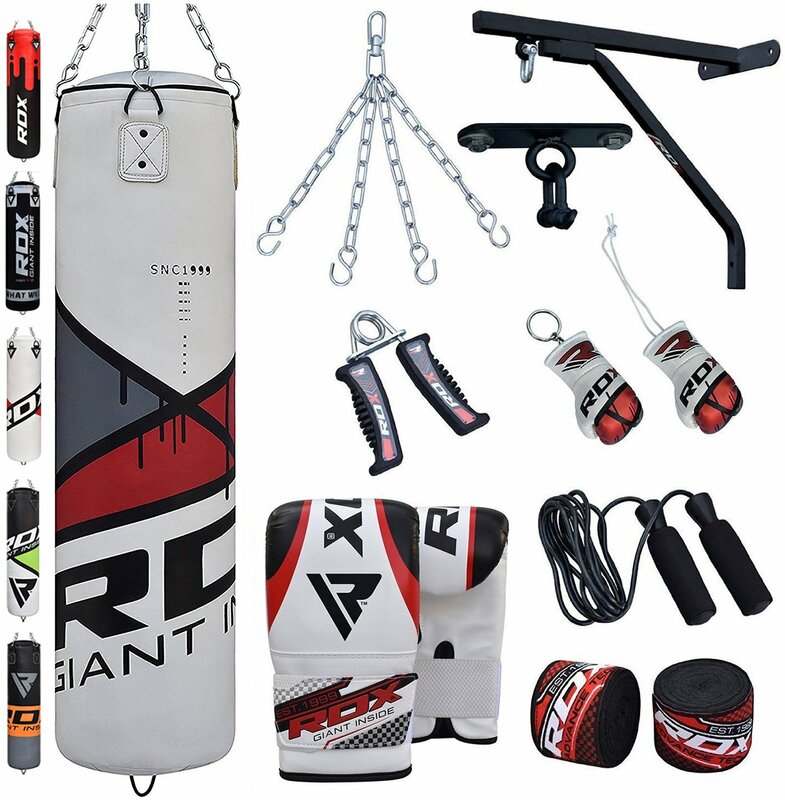 As long as you have space and ceiling beams to hang the bag up, you’ve pretty much got an entire martial arts school in your house as this contains everything you need like gloves and hand wraps. This will be great for both exercising and letting off a little of that teenage angst youths are so full off. This does require some serious assembly, and remember that its easy to hurt yourself if you don’t know how to punch and kick properly, even with gloves, so we only recommend this if your son is also getting lessons from a good boxing or martial arts club or instructor. After a hard day at school or on the sports field, sometimes all a twelve year old wants to do is kick back and relax. 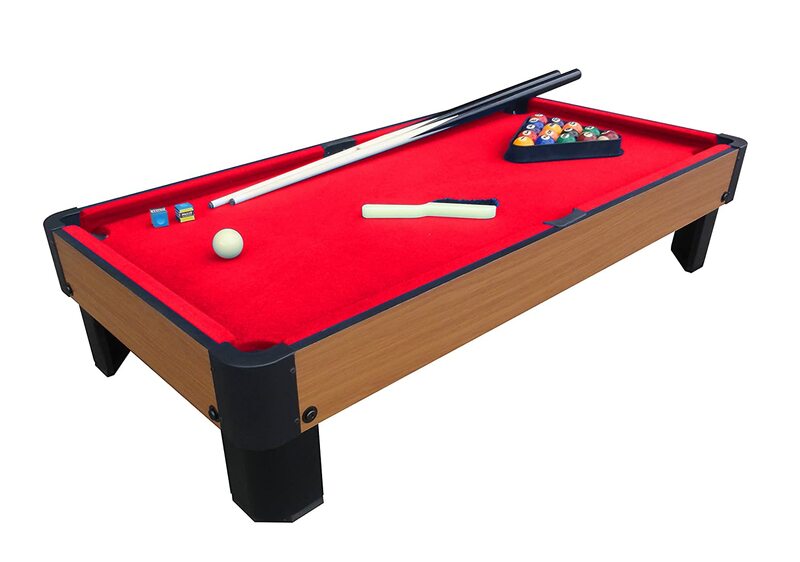 This cool little pool table will be amazing for just that, as all you really need is enough table space for this 40 inch table and your good to go. All you need to do is attach the legs at the bottom, so you can easily set this up in a bedroom or a family room, and your son and his siblings and friends will have endless amounts of fun just kicking back and shooting some holes. Al the playing equipment, such as balls, triangle, chalk and cues, are included, and this comes in blue, green and red colors. 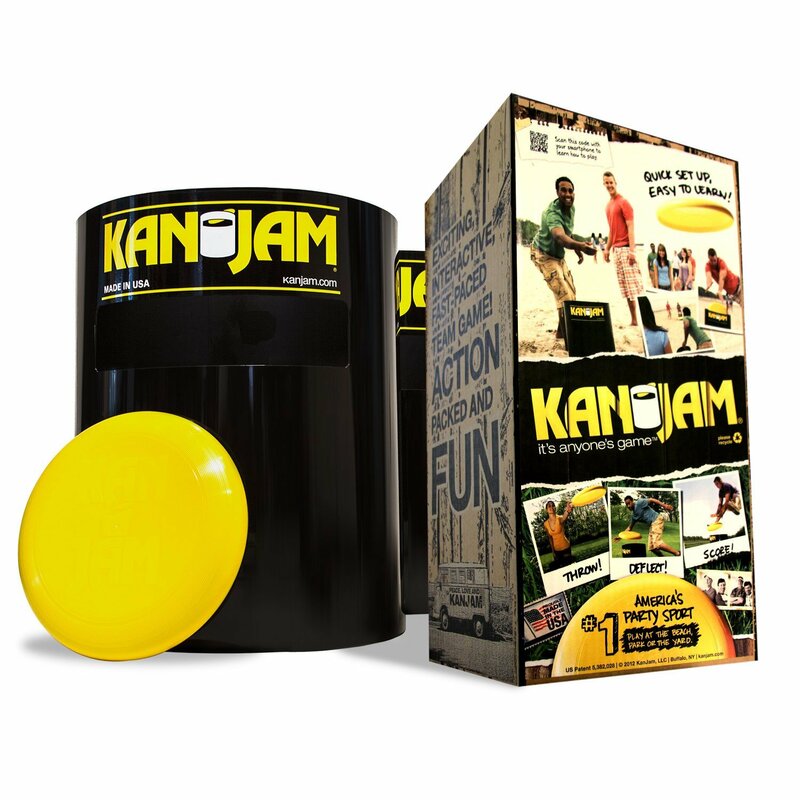 Simple and addictive fun, this is one of the best gifts for 12 year old boys we can think of. Is your son an aspiring electronic musician? Does he dream of being a famous DJ? If so, these Novation Launchpads might be a great addition to his music set up. Kids all over the world are going crazy for these things, and they have become a YouTube sensation. 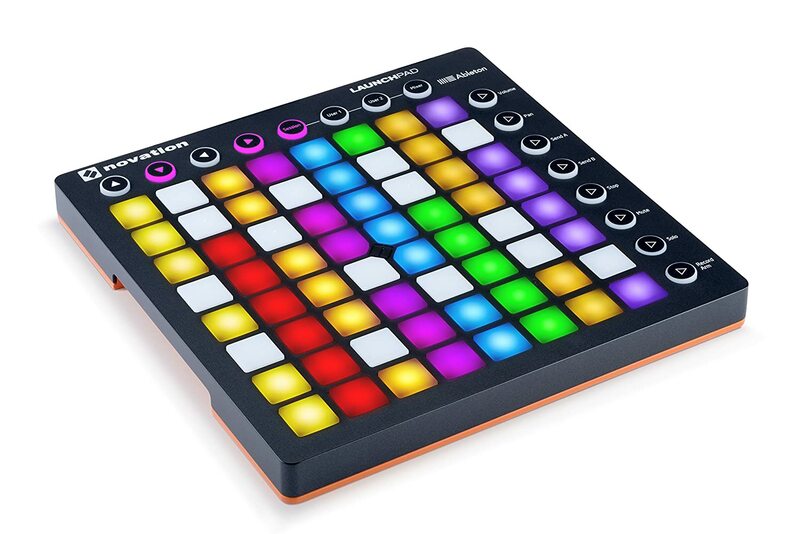 The launchpad is basically a midi controller pad that lets you map a sample, sound or track from your DAW (digital audio workstation) to each button on the pad, letting you either play covers of other peoples songs or make your own up. Plus, on top of that, you can configure the buttons to make a light show, flashing different colors with each press, so they will have an amazing musical and visual experience. These launchpads are really cool, and they come in different sizes to suit different budgets. They need to be connected to a computer to use, and the necessary software is included. A cool gift for a young electronic musician. They might be getting a little too old for comic books at 12 years old, but there at the perfect age to start appreciating graphic novels, which are basically comic books that are written for adults. You may not have heard of Neil Gaiman, but he is an acclaimed and prolific author of both novels and graphic novels, and The Sandman is considered by many to be his defining work, and is one of the only graphic novels ever to be listed as a New York Times bestseller. 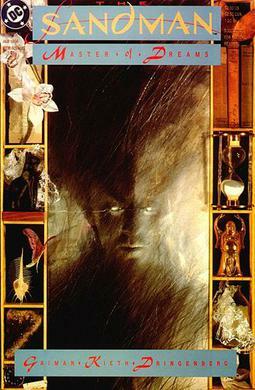 The Sandman is a stunning and vivid dark fantasy work that takes place in dreams and in the waking world, and it covers themes of urban fantasy, the occult, myths and legends, and really deconstructs the superhero genre. Its blend of captivating narrative and stunning artwork will make it a wonderful read for imaginative boys who love reading and fiction. Sometimes the classics are always the best, and for rainy days, there’s nothing quite like a good jigsaw puzzle. 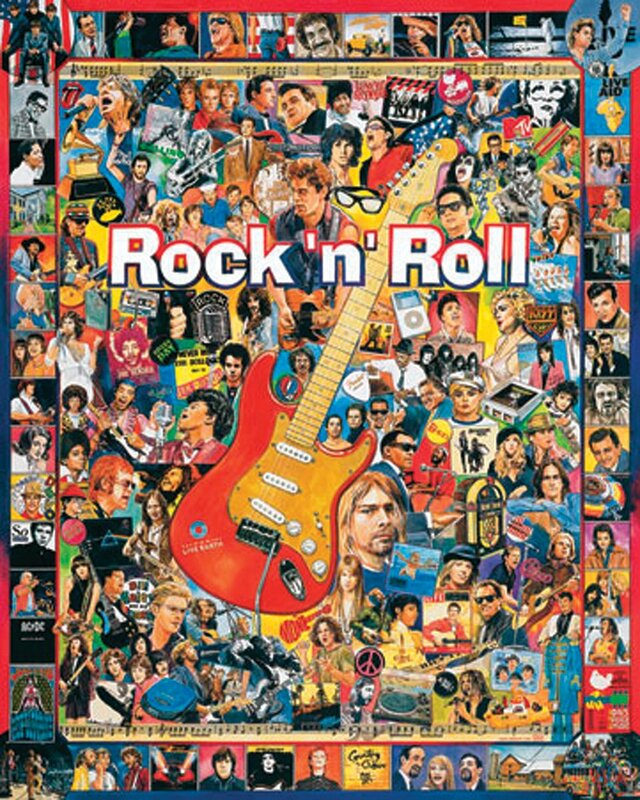 This 1000 piece puzzle is packed with portraits of the great rock musicians and pop icons of all time, with Johnny Cash, Kurt Cobain, the Beatles, Blondie, the Rolling Stones and many more, so this will be a wonderful gift for a young music fan. This extra large puzzle is made of sturdy blue chipboard on recycled paper., so it is a great eco friendly present to get a boy of 12 years. 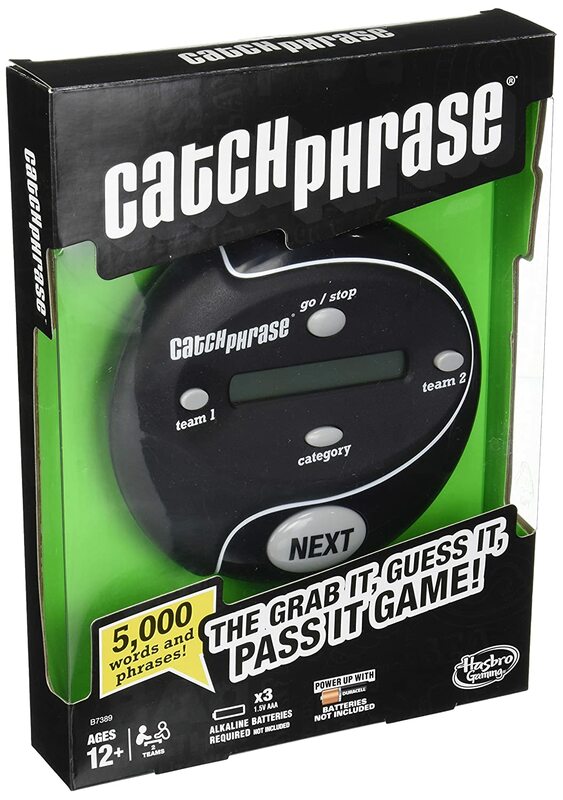 A cool party game that will be a wonderful present for a soon to be a teenage boy, catchphrase is a simple yet really fun game where each player has to try to describe a catch phrase to their team without actually saying it before the time is up, and it can be competitive and quite hilarious. We really like this electronic version as there are no cards or anything like that which can get lost or ripped. Everything is contained in the electronic device, which also has the timer and keeps the score of the game. With 5,000 words and phrases, this is a game that will be fun for years and years, and it is also a great brain game for youths as it tests their reactions and language skills in a crazy fun way. Lego is not just for little boys and girls, as this amazing 444 piece model set has been designed for 12 years old and above. 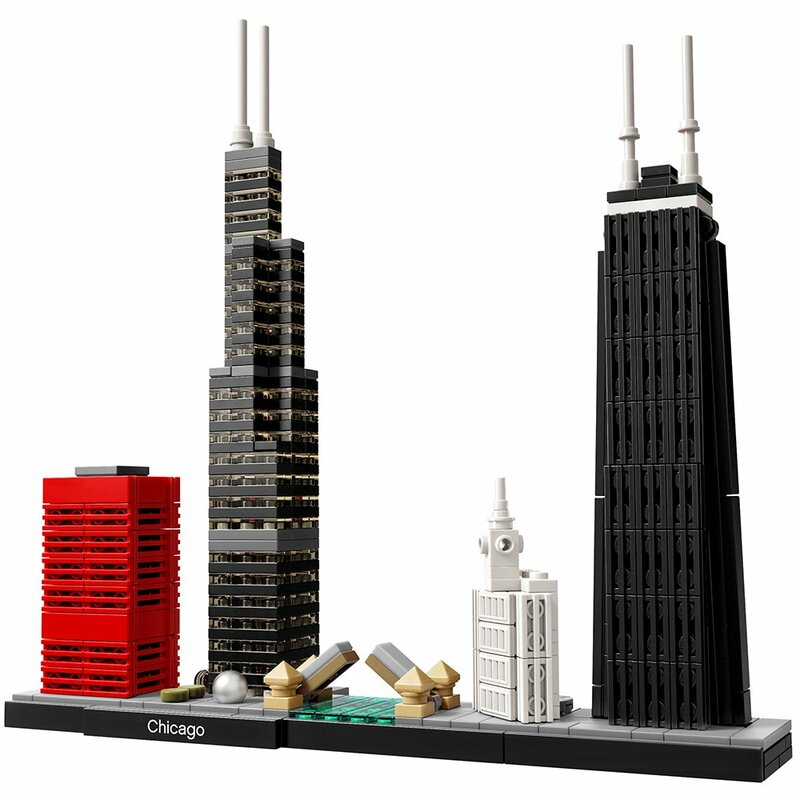 This cool building set is great for youths to help them learn some significant buildings while being creative. It is also a very educational gift, as it comes with a collectible booklet containing information about the design, architecture and history of the building. It will make a great model suitable for display in the home or bedroom and has been developed for youths with an interest in travel, architectural culture, history and design. A great budget gift for a 12 year old boy who loves music, dancing, or one who is creative and colorful, this cool disco light will help him turn his bedroom into an explosion of color. It has 3 sound-activated mode, 7 lighting modes and a rotating speed control, so he can set it up just how he likes it. 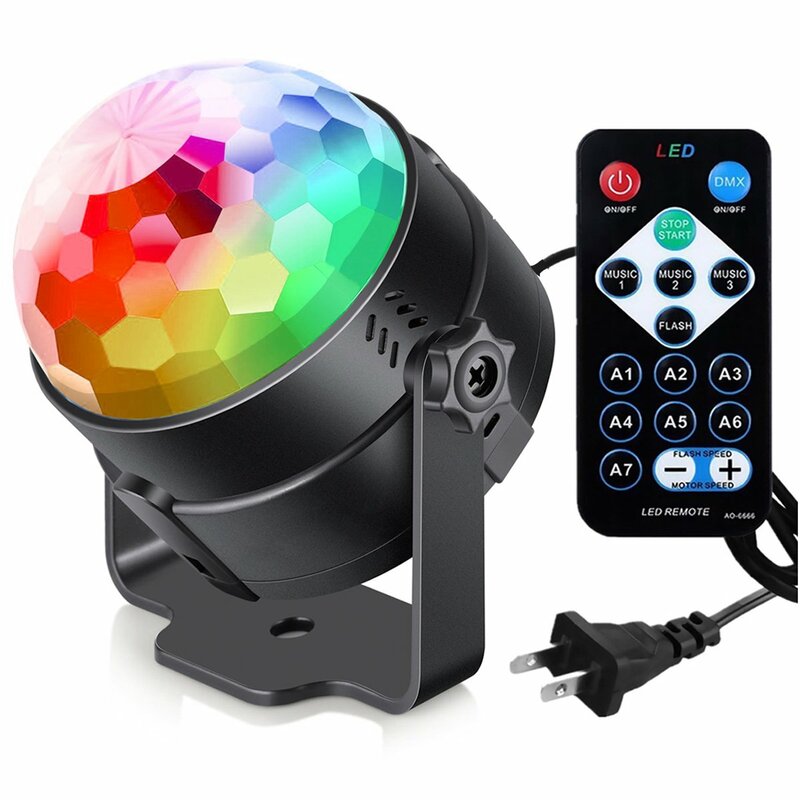 The disco ball light is easy to choose solid colors or multi colored by the handy remote. This will be a great gift for someone who likes having their friends over to party, and will also bee good for atmospheric lighting for video game sessions or band practice. 12 years old is the perfect time for a young boy t dive into the world of fantasy literature, and if your lad is a fan of the movies, then getting him this cool box set of JRR Tolkien’s master works The Hobbit and Lord of the Rings will be a great way to get him into reading novels. These books really are classics, and have been capturing the minds and hearts of kids and adults for many generations. We specifically recommend this version as it not only has all the books in one cool package, it has a nice big font that will be easy for youngsters to read, and it contains 65 stunningly beautiful illustrations by Alan Lee that bring the story to life. This will be an incredible gift for a twelve your old boy who loves reading, fantasy, and is a fan of the movies. Times really have changed since most of us parents were younger. No longer are kids using record players, walkmans or stereo systems to play their music – it all iPods, cell phones and mp3 players these days. None of these things comes with speakers, so if your son wants to listen to music without headphones, this cool blue tooth speaker is just what he needs. As it is blue tooth, there’s no need to worry about wires cables or anything like that, and you can set up this small and portable device anywhere you want. It will give almost 12 hours of battery time on 2/3 hours of charging, and will work from up to 33 feet away from the device it is connected to. Better still, you can even use this with non-Bluetooth devices There really is a lot of functionality built into this little speaker, and we are sure your son will love it. 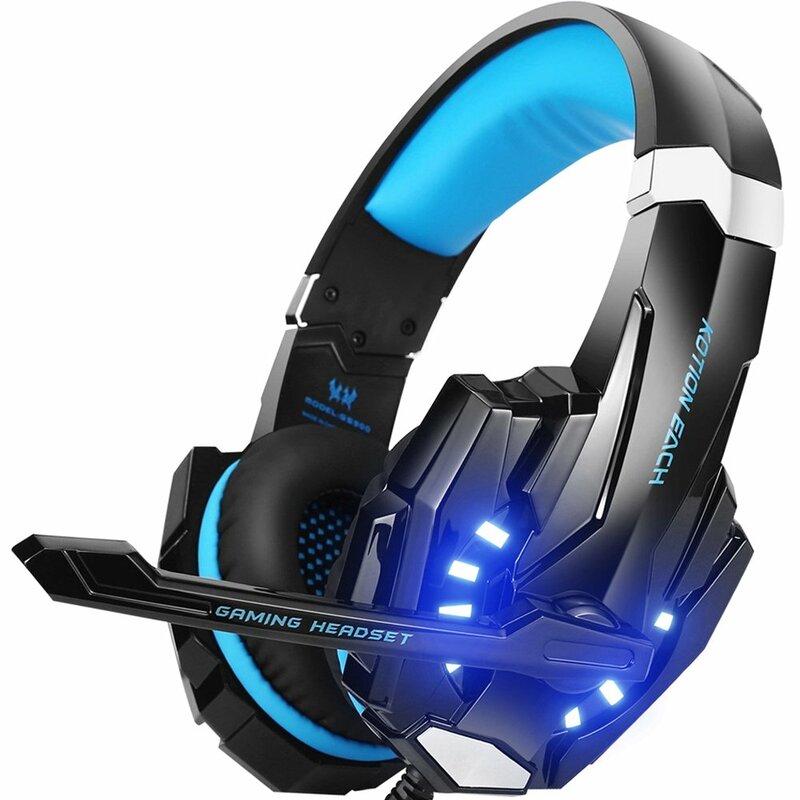 Every gamer needs a good gaming headset, so if you are looking to get a present for a boy who loves playing video games, we recommend picking up one of these Bengoo headsets. We like this one because it combines everything that a good headset needs, such as comfortable design, high-quality omnidirectional microphone, easy volume controls and, most importantly, fantastic sound quality thanks to its great headphones. 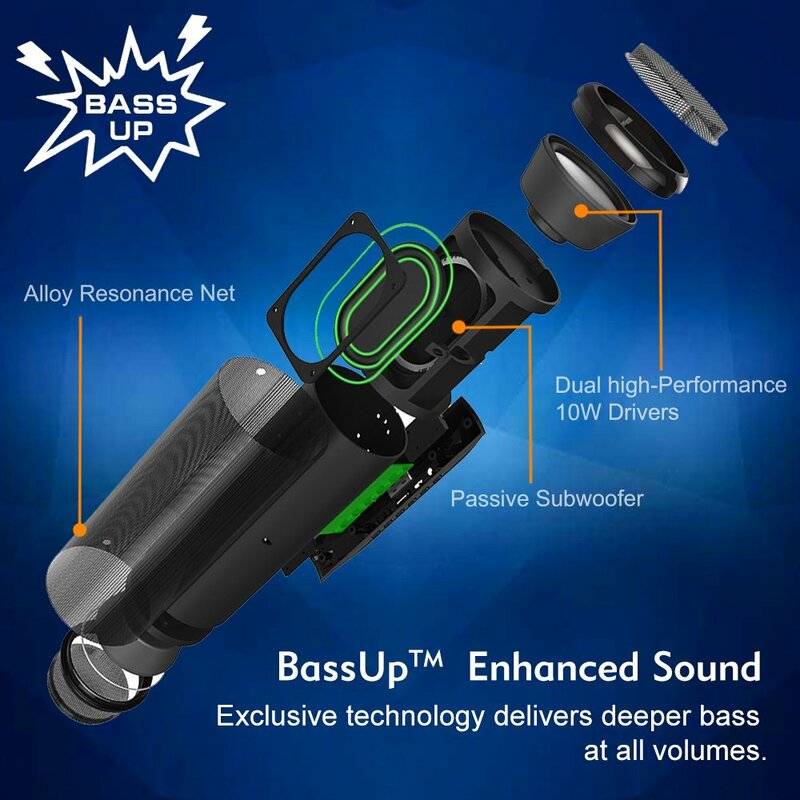 These are specially designed for gaming, as the speakers use advanced sound technology to give the high detailed positional sounds, so they will know exactly where the enemies or other players in the game are. Also, while some gaming headsets are extortionately expensive, this one is very affordable, yet still high quality. A great gift for a young gamer. This will work with PCs, Xboxes, PlayStation and Nintendo consoles. 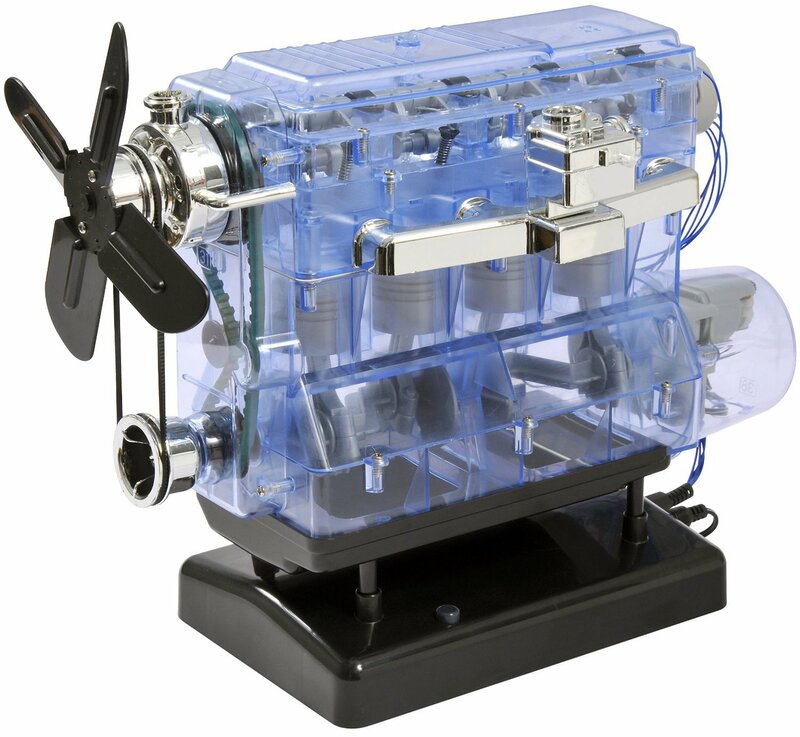 If your 12 year boy loves building and engineering and is up for a serious challenge, This cool engine building kit might be just what he needs. This is a serious project, and he might need some help from mom or dad from time to time, but this will keep him busy for hours and hours, and he’ll have an incredible sense of accomplishment once it is finished. This kit will let him fully construct a working replica of a car engine with light up spark plugs. It has around 100 parts, and comes with all the tools they will need and also a handy set of instructions. For a budding young mechanic, this will be both educational and challenging, but we are sure that they will really love the whole process, and it can inspire them to get interested in mechanics, engineering and science. Batteries not included. All teenage boys love hoverboards and this is a perfect introduction to riding hoverboards if they have not rode one yet. The hoverboard is well-made and sturdy but cheap in price. The speed is ideal for teens and goes up to 6 MPH’s for around 7 -7.5 miles. The connective features means he can listen to music while he rides via the bluetooth function and does this through his iPhone or android device. The style of this board is epic and its light-up design means this is awesome to ride close to dusk. The LED lights are futuristic and helps get their cool points up with peers. 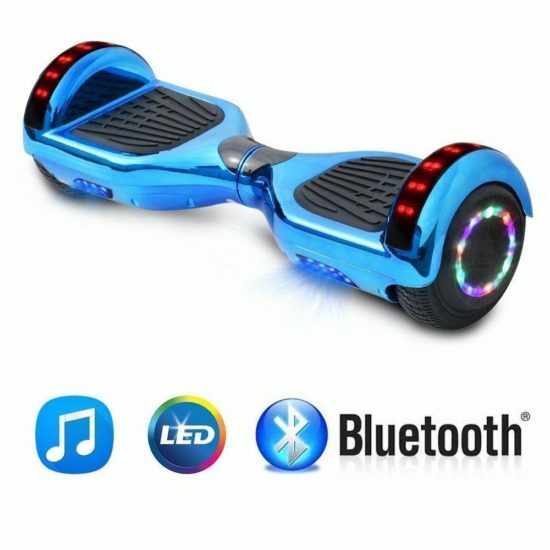 This hoverboard is very safe, verified and certified with the UL 2272 certification. A drone is always a fun-filled gift for a 12 year old kid who loves being outdoors or needs encouragement to play outside more, either way, a drone serves a great purpose and is a gift to be remembered. This really can be hard age group to choose from, as 12 year old youths are not children anymore, but they still have a lot of growing up to do before they are adults and their behavior can be childish at times. Similarly, their high intelligence and ability to concentrate hard means that simple toys and games will not keep their attention for long; they really need something engaging and challenging, but still not too difficult to get into. Buying gifts for kids who often get deeply immersed in their hobbies and sports, so finding a gift that is related to this will definitely be a good idea. Boys around 8 can also be a really social and outgoing group. If your son is like this, it might be a good idea to get him something that he can enjoy with his friends, like a cool board game. How to Pick a gift for 12 year old boy who has everything? Some boys have all the gifts and presents and for them finding a gift can be more of a challenge, which is why it’s sometimes worth considering trying to find a more unique and creative toy that will encourage their creative side. Sometimes the simple gifts and the best choices for kids who are used to getting everything. However, to make this interesting you might have to spend more time with him trying to get him interactive in the process. 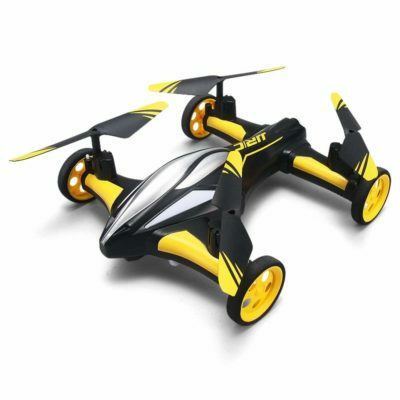 This RC drone is a fantastic gift idea for kids who love tech and flying cool toys. 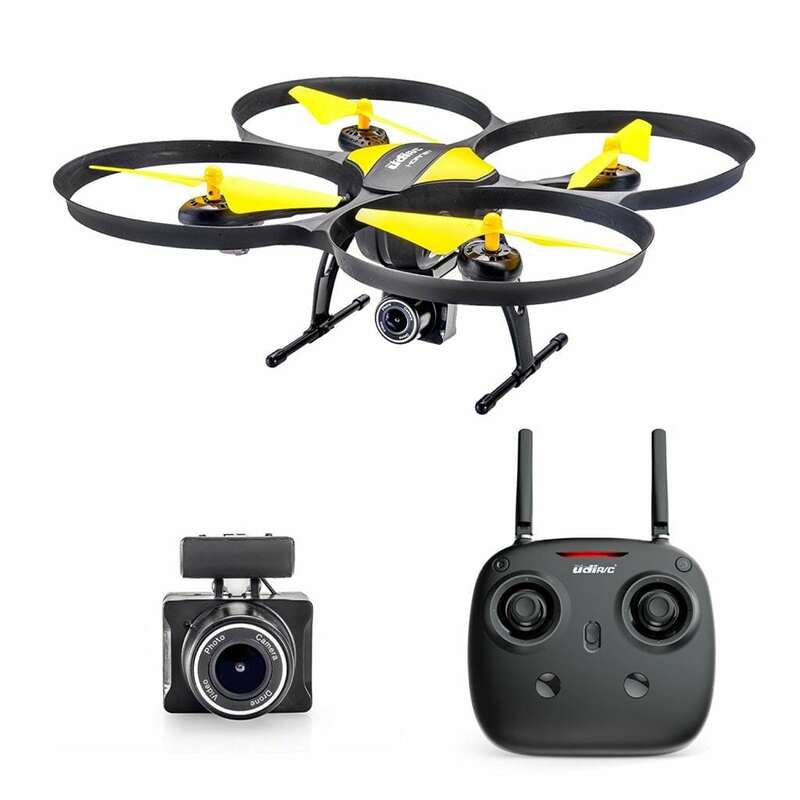 The drone itself is a great choice for a youngster, with easy to use features like a an automatic take off at the push of a button and an inbuilt digital video camera. There are also three different skill modes for flight, so you can find the skill that best suits your kid, and they can always move up to the next level once their piloting improves. Overall, this really is a great gift that will keep on providing your child with hours and hours of fun and exploration as they pilot this slick kids drone.